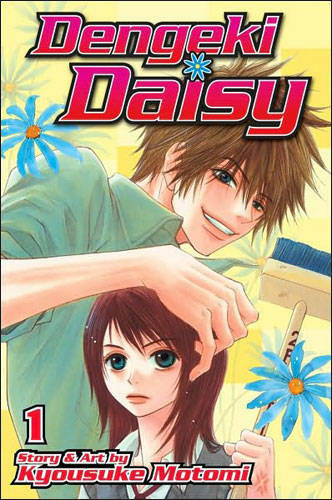 Recently my friend told me that she knew of a manga series I had to read called Dengeki Daisy. Now, despite the fact that my friend is a hopeless romantic and a hippie it took me a really long time to relies she was into Shōjo, and so I picked it up expecting some serious action, I got a whole lot of other stuff. As you can imagine, I was surprised at first, and even considered putting it down, but then decided to keep reading anyway. So far I’ve got to chapter 11, and since it’s ongoing, I have no idea if and when it will end. So I told myself a review now is just as good later, even if I have little knowledge of future chapters. The story is about a 16 year-old high school girl named Teru Kurebayashi. When Teru was young, her brother died, leaving her nothing but a cell phone with the contact ‘Daisy’ in it, saying Daisy would help and protect her with anything she needed. Skip back ahead and Teru is a bullied and has few friends, often teased for being a ‘scholarship student’. One day, she breaks a window, and the school janitor Tasuku Kurosak forces her to be his ‘servant’ in order to pay it off. There some complex stuff that goes on and a bunch of who loves who, but that’s all spoiler related. 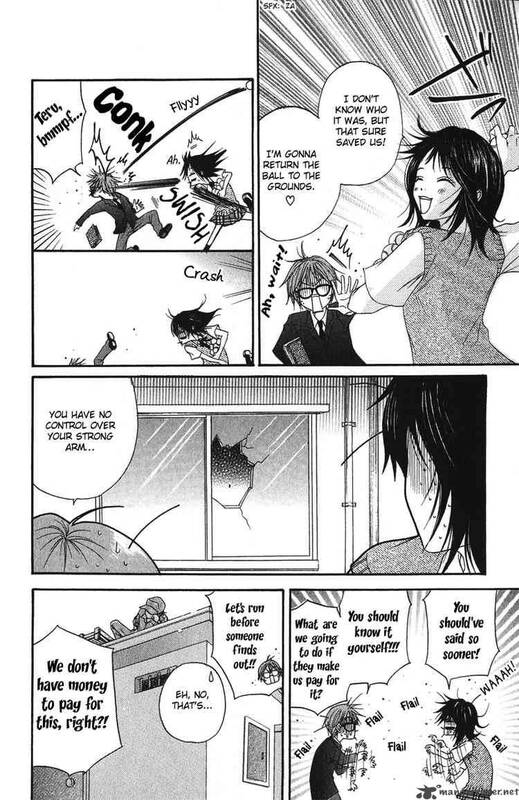 I can’t say that I really enjoy the manga, but I don’t hate it either, it’s comedy and use of the word ‘Cracker’ in place of ‘Hacker’ keeps me reading (I hadn’t heard the term ‘Cracker’ used like that for a long time). But aside from that, it just seems like a love story were neither of them are man enough to admit how they feel to the other. Granted, that’s just the first 11 chapters, and it seems like it could get much more complex than what I’m seeing. The author, Kyousuke Motomi, also keeps me quite entertained. She uses humor I don’t normally see in Shōjo manga (for example, Teru gets so concentrated on a test and overloads her brain, so she gets a nose bleed) and often puts little notes to the read every few chapters or so that leaves me laughing, and what she says there occasionally becomes part of the story. The characters themselves are well made; with the exception of a few which I am 90% are just copy/ paste stereotype characters. Each has varying levels of everything, but most are completely believable, including Teru, which leaves a happy feeling in my heart. 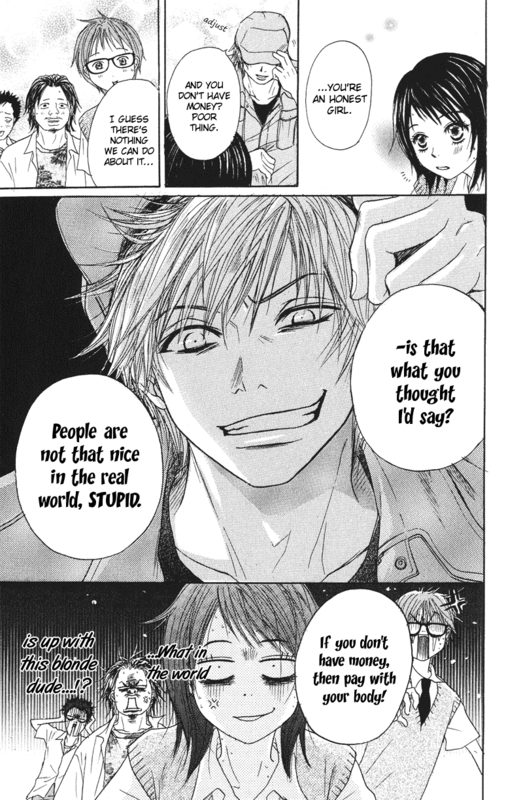 Relationships are treated as they would be in the real world (with the exception of when Teru moves in with a teacher she’s known for like, 2 days, because she’s female) and have both surface and depth elements to them. For those of you who want to know about the romantic interactions, I think it’s partly viable, but still unrealistic, though the author portrays it well, and this makes up for most of it. I really love the art in this manga, especially the black and white work (I’m not a big fan of Motomi’s color work; I’ve never liked those Shōjo esque lips though). I feel she truly does bring life to her characters through her art, and that it fits the story really well. It adds a sort of comical but sweet appeal, with exaggerated heights and features, but overall simple designs (I have yet to ever mix up a character through the art, not even for a moment). Despite the authors disbelief in her art (particularly here flowers) she is truly amazing, and her art is my favorite part of Dengeki Daisy. Overall, I’m not the biggest fan of Dengeki Daisy but I don’t really dislike it either. I found it to be enjoyable, and something to read if I have any free time with nothing else to do. The plot isn’t all that entertaining, being as predictable as it is, though it is portrayed well. I feel almost as if the skill put in some of the characters is wasted on the plot. The actually writing is not too shabby and often quite comical. 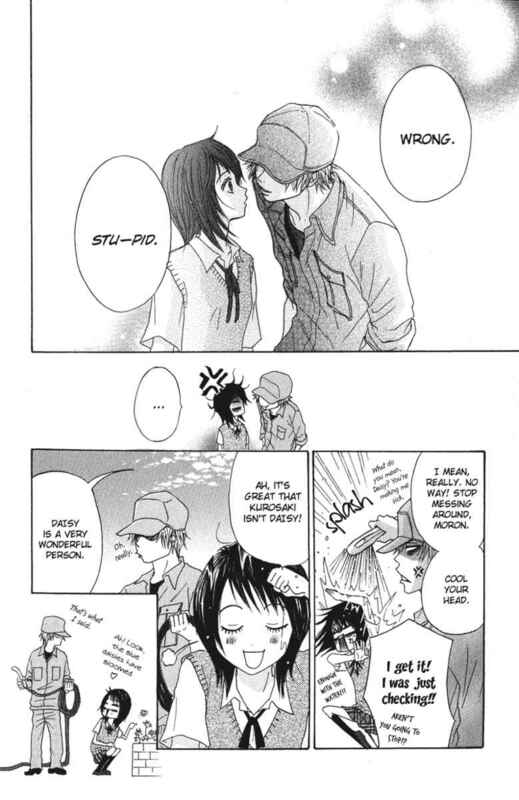 The art is probably the best part of this manga though, a still that fits well with the Shōjo theme. Well, that’s about all I have to say about this one, and I even followed a formula this time. Did you guys like it? What do think of this manga and my opinion on it? Did I do it justice? What should I do next? (no really guys, I’m running out of ideas here, I want to do some more small stuff). Will any of these questions be answered? !